Each month has its special joys and tasks in the garden. Below is a suggested calendar for October. Remember that gardening depends on the weather, so tasks, bloom season and activities may vary from year to year. § Fruits/seeds/berries: Eriogonum species, Heteromeles arbutifolia, Rosa spp., Shepherdia argentea, Symphoricarpos spp., Vitus spp. § Purchase plants from native plant nurseries/sales; place in semi-shade and water regularly until planted out. § Usually not much weeding to do; but keep on top of any weeds, weedy grasses that may appear. § Save artistic-looking materials for fall/winter decorations, flower arrangements, etc. 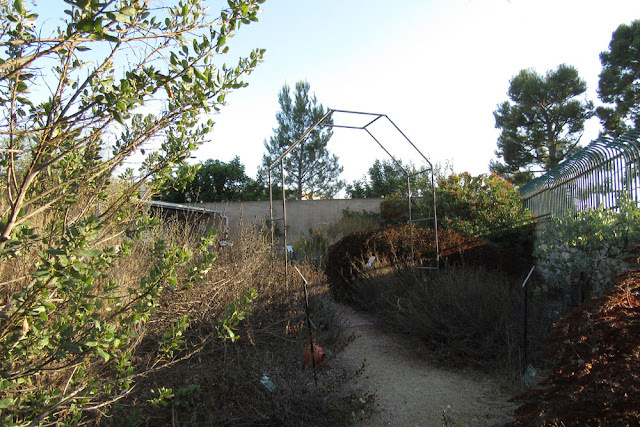 § Visit a new-to-you native plant garden; take your camera and notebook to jot down ideas. I really like your calender of what to do. It is very helpful and fitting for our climate. Beautiful pictures and a great resource! I like your Gardening Calendar, this information has important reference value for me.